I've been dying to wear this ombré skirt ever since my boyfriend bought it for me in February, but never really got to because of the weather. Last weekend, I finally wore it out for a long needed shopping trip, so here it is in all it's glory. And can we talk about my shades? 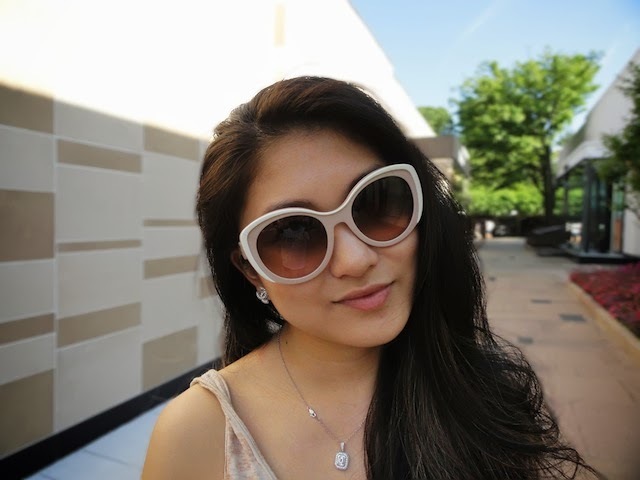 Couldn't help but get another pair of Prada Cat Eyes in a more summer-loving color. What do you guys think? Love the shades and the burst of yellow! You look lovely your ombré skirt is so amazing! !